(if you are lucky enough to find them, otherwise you can use canned or dried Borlotti beans) Borlotti beans are the white ones with read streaks. Pour a couple of tablespoons of extra virgin olive oil into a large saucepan and saute a couple of cloves of garlic. 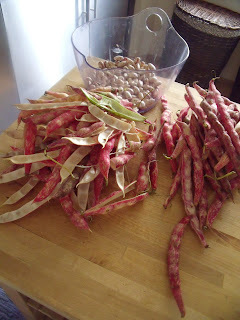 Add the beans with enough water to cover. 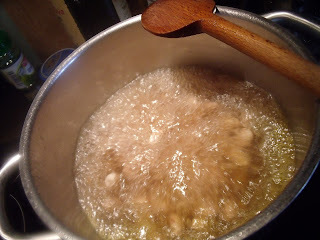 Salt and bring to a rolling boil. 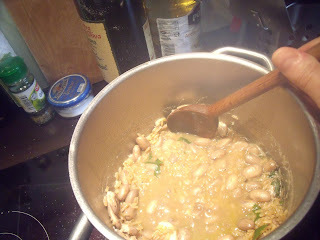 Lower heat and simmer until the beans are cooked (if fresh, about 45 minutes, if dry follow directions on the package. 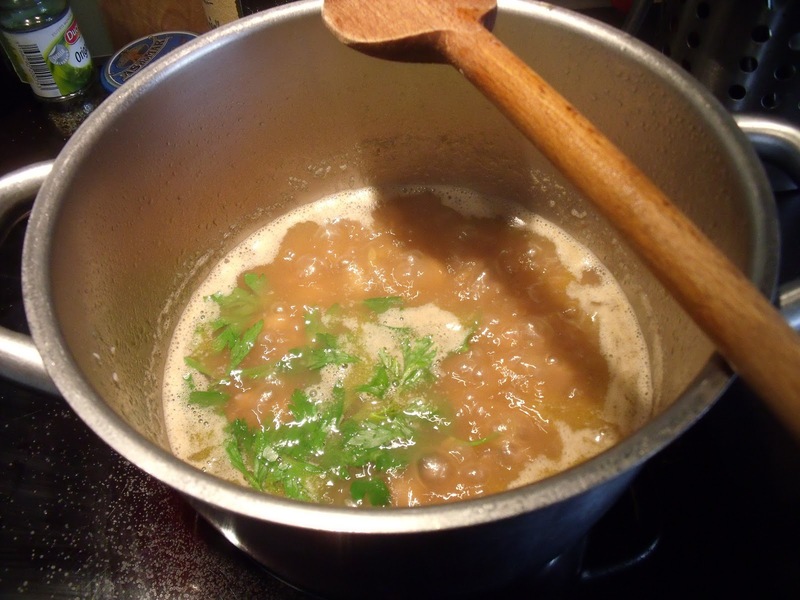 If you are using canned beans, rinse and add to the garlic and oil, just cover with water and bring to a boil). Weigh or measure out the rice. I use about 1/3 of a pound for 2 servings. 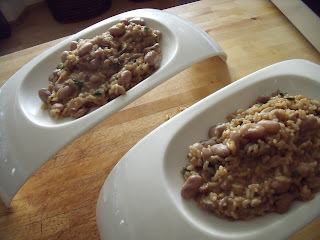 Add the rice to the beans, add more water if necessary. 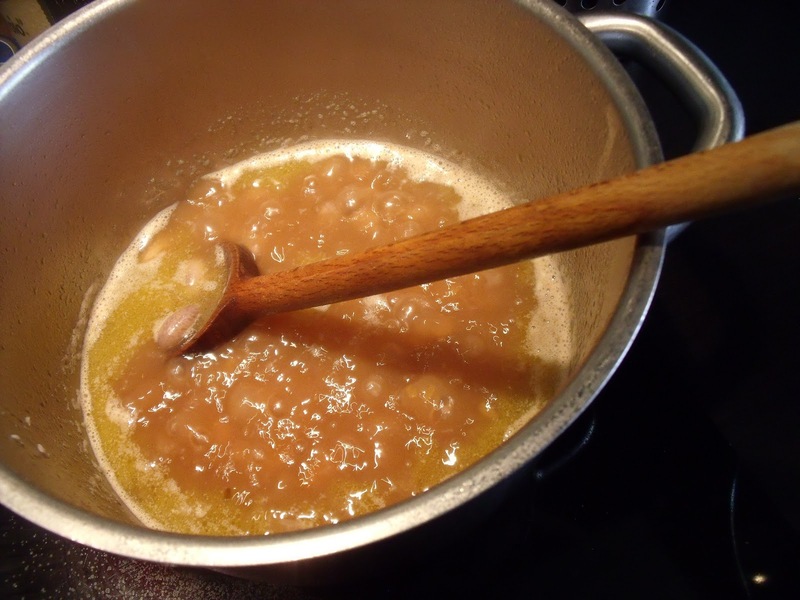 If you like you may add 1/2 bouillon cube, or a 1/2 t. of granulated bouillon. Taste and correct seasonings. At this point, you can also add some hot pepper. Wash and coarsely chop a bunch of fresh Italian parsley. 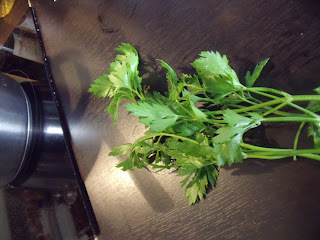 Add the parsley to the pot. Continue to cook until the rice is cooked. 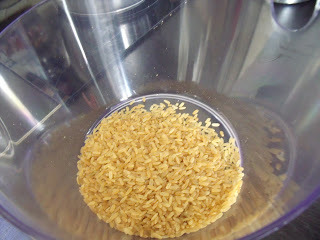 Depending on how soupy you want your pasta and rice to be, add water. When the rice is almost done, use a wooden spoon to smash some of the beans against the side of the pot, and stir down for a creamy texture. 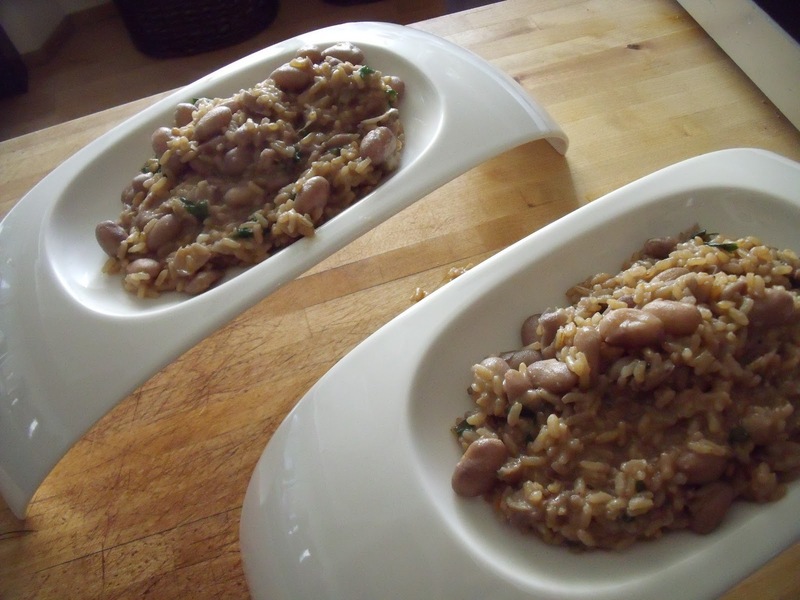 Transfer to serving dish and drizzle some extra virgin olive oil over the beans and rice. 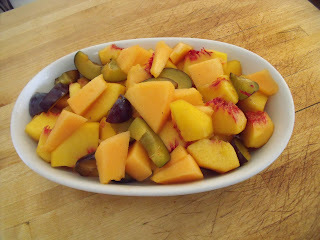 After this hearty one-dish meal, the perfect dessert is a fresh "macedonia di frutta"
For an even tastier fruit salad, drizzle the top with Cointreau or Limoncello! Hello Jim, I have been living in Lucca for about 4 years now and I love it! We are gearing up for the Lucca Comix event this week-end when Lucca will be "invaded" by every sort of comic book character you can imagine! 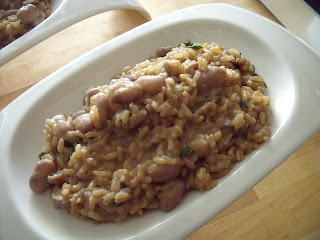 Thanks for the vote of confidence on my cooking blog!